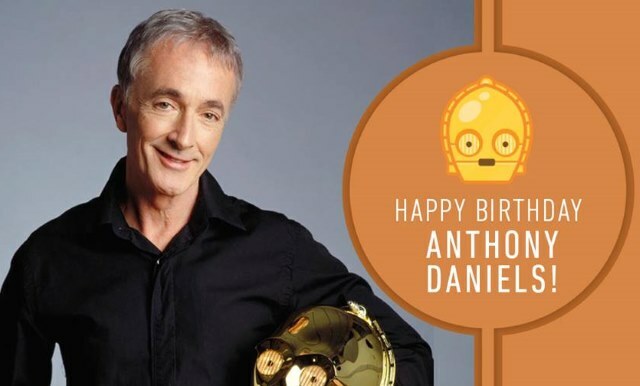 Revengeofthe5th.net: Happy birthday Anthony Daniels! Happy birthday to old Goldenrod himself, Anthony Daniels! While the world knows Daniels as C-3PO, many fans do not realize that he was also the voice of Legolas in Ralph Bakshi's 1978 animated version of The Lord of the Rings. He also appeared in several British television productions, including "Prime Suspect" starring Helen Mirren. Daniels is also an adjunct professor at Carnegie Mellon University's Entertainment Technology Center. All the best to Mr. Daniels!